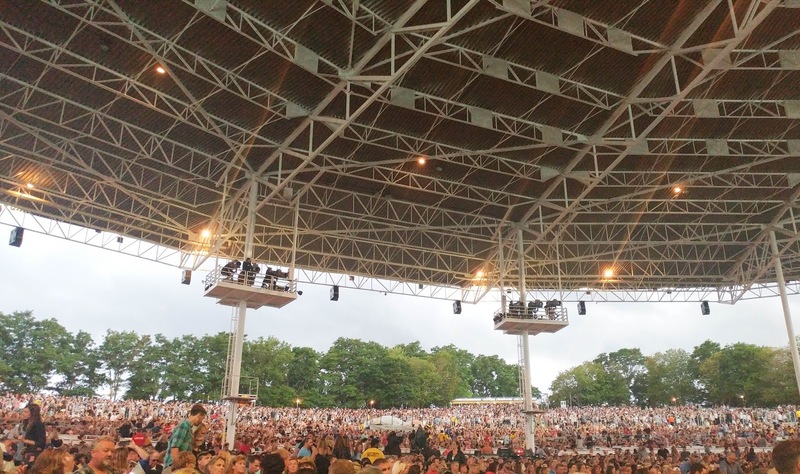 Ever since I was a teenager I have been attending concerts at the Molson Amphitheatre in Toronto. This summer venue always hosts the best musical artists and the atmosphere is energetic and fun. As a summer tradition I try to get tickets for at least one summer concert at the Molson Amphitheatre. This summer I had the chance to see Keith Urban! I have always been a HUGE fan of alternative country (I love that ‘twang’-like sound), and I actually did not know much about Keith Urban until he was a judge on American Idol. His down to earth personality really resonated with me and I started to dig into his music catalogue. Keith always seems to write the perfect summer anthem and this year on his new record that song is called Wasted Time. If you have not heard Wasted Time yet, trust me it will be stuck in your head all day after listening to the chorus. What makes a great concert is not just the musical act, it’s the atmosphere and the friends you are with. 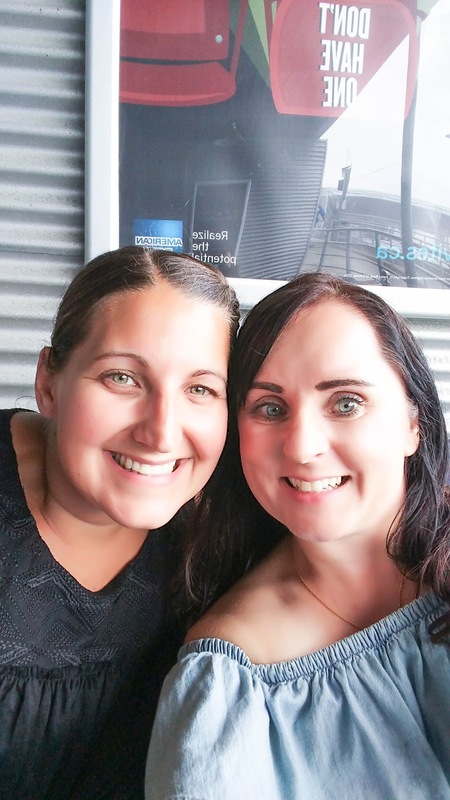 I knew my teaching partner Darcy was the perfect friend to share this amazing experience with me! Darcy and I both teach Kindergarten at the same school. To have her come to Keith Urban with me was a great way of saying thank you for all you have done during the school year. Darcy is also one of the biggest mainstream country fans I know, and has seen Keith Urban before. What made this concert experience even more special was that I got to take advantage of the fantastic American Express Canada Cardmember perks offered at the Molson Canadian Amphitheatre. I have always seen people using the Front Of the Line Entrance and heading into the Amex Lounge and thought to myself, “how do I get those advantages?” As I have now learned, all it takes is an American Express Card. The day of the concert Darcy and I were texting back and forth about how excited we were, and what we were planning to wear. I picked out a simple denim dress and the most comfortable pair of sandals I own. We took the train into the city and were having conversations with the other train riders who were headed to the concert (most were women, ha ha). We arrived at the venue right when the doors were opening and it was raining, and of course the lines to enter the venue were extremely long. Thankfully, Amex Canada saved the day because of the Front Of The Line entrance available exclusively for Cardmembers. 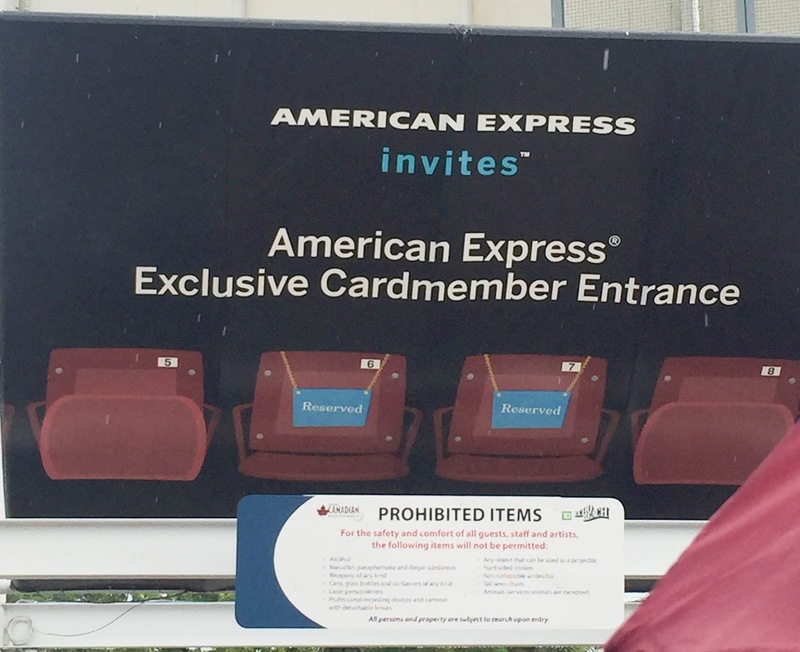 If you are an Amex Cardmember there is a clearly marked entrance at the Molson Canadian Amphitheatre that allows you to enter the venue quickly without the long wait. We entered the venue in no time using the Front Of The Line entrance, I was shocked at how easy and smoothly the entry process was. Once inside Molson Canadian Amiphtheatre we headed into the Amex Lounge. The Amex Lounge at the Amphitheatre is HUGE! It is a fantastic space to kick back, have something to eat, and enjoy time with friends. I was thrilled to see there was a washroom in the Amex Lounge because the main washrooms are always very busy. We sampled some burgers and pita chips and both dishes were delicious! It was so nice to sit down and chill out before the next act. Darcy and I took some selfies, chatted to some lovely ladies from Kitchener and laughed about some funny times during the school year. We missed the first opening act because we were having so much fun in the Amex Lounge that we had to tell ourselves to make sure we see Brett Eldrege who was also opening for Keith Urban. Brett is an artist I had never heard before (Darcy knew all about him), and let me tell you, he is easy on the eyes. Brett was fantastic! I loved his demeanor, very sincere and down to earth, and Darcy was answering off my questions about him. After Brett -it was Keith Urban time! Keith started his set with the first song on his new album Rip-Cord called Gone Tomorrow and the crowd was so excited to see him (me included). He included many of his hits in his set such as Long Hot Summer, and Somebody Like You. Darcy and I were dancing and singing along the entire set, but I was waiting to hear Wasted Time. Finally, the time came for Wasted Time, the biggest summer music anthem and we made our way closer to the front. We were dancing and singing right in the middle of the crowd. This was by far the highlight of the night. 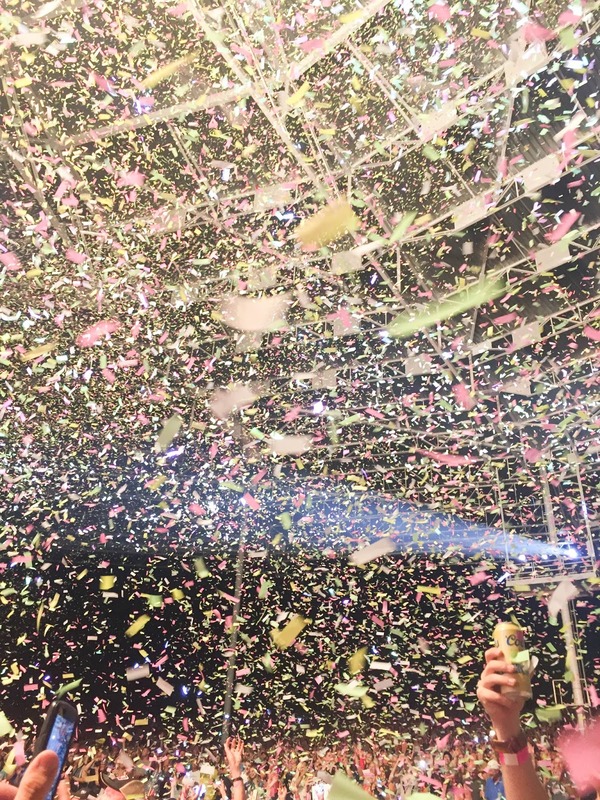 Confetti paper rained down on the crowd, and the energy was electric. Keith Urban is a phenomenal artist, incredible guitar player, and seems like such a nice guy. I was so impressed because this was my first Keith Urban concert, and probably Darcy’s fourth Keith concert. We smiled the night away and made some new summer memories together. If there was ever a time to experience memorable events it’s this summer! Amex offers exclusive perks to Cardmembers that are sure to get anyone to become an Amex Cardmember. Amex also offers Front Of The Line presale tickets for some of the hottest shows in the country. This means that you CAN get tickets for you can your friends for those shows that you know are going to sell out. Like the Molson Canadian Amphitheatre, Amex also provides Cardmembers with a space to relax and take it easy at many of Toronto’s most popular venues, including Massey Hall and Princess of Wales theatre. To learn more about some of the top events in your city American Express Canada offers be sure to head to AmexInvites.ca to see Trust me you want to see what AmexInvites.ca has to offer. This post was sponsored by AmexCanada. 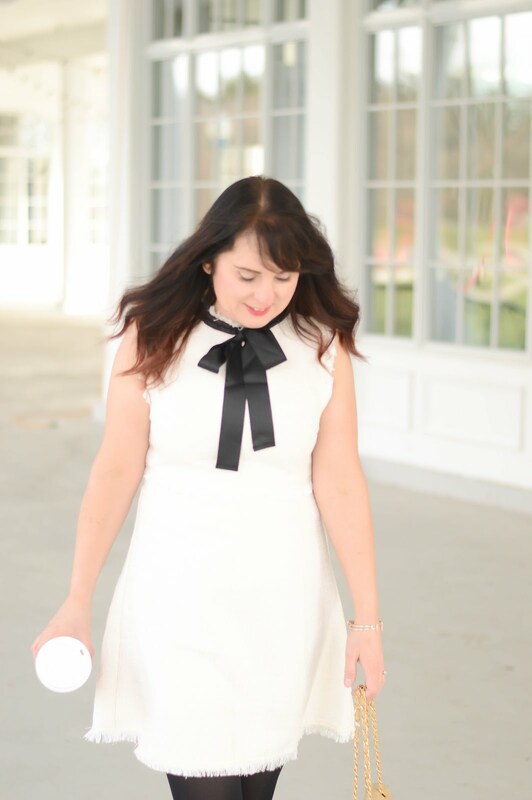 The views and opinions expressed in this blog are purely my own.